In this interview, we talk with Brian Parkin about his fiction works. For information about his nonfiction works, go here. What first got you into writing fiction? I have been an academic and technical writer for over twenty years. After I retired several years ago, I started a photography business and wrote a book on studio lighting diagrams, which became, and is still a best seller on Amazon for its category. Like most writers, I had a yearning to write a novel, which took me eight months to write. It was an invigorating experience and I couldn’t wait to start the next one. My novel is about a rich socialite living in Australia who has a penchant for killing people for no other reason than she enjoys killing. She killed her first victim at 12 years old. In fact, she made her first million by killing her parents. To avoid capture by being police profilers, she invents an app for her PC that randomizes the whole process of killing. Press a button and the app tells her where to go, which type of person to kill, what method, what her disguise will be, and even her method of travel. Her aim is to reach at least 100 deaths. What inspired you to write a suspense/thriller book about a serial killer? I read many murder thrillers and it struck me that murderers always seem to be caught because they don’t plan well enough. They leave evidence such as DNA behind or their modus operandi allows the police to profile and capture them. I wanted my murderer to be a planner, leave no evidence and have a randomized method of killing so that the police have no idea how to catch her, unless she was caught in the act. I thought an app for a phone and PC would be the perfect and modern way to be a serial killer. Are there any suspense/thriller writers that have influenced you? In my youth, my favorite authors were Dennis Wheatley for his black magic series, and Hammond Innes for his mystery thrillers about ordinary men thrust into dangerous situations. I have enjoyed reading Jeffrey Archer for the completeness of his plots in writing a thriller. Of course, these days there are so many indie writers that I am spoiled for choice and many of these have some great ideas that spark my interest for my next novel plot. 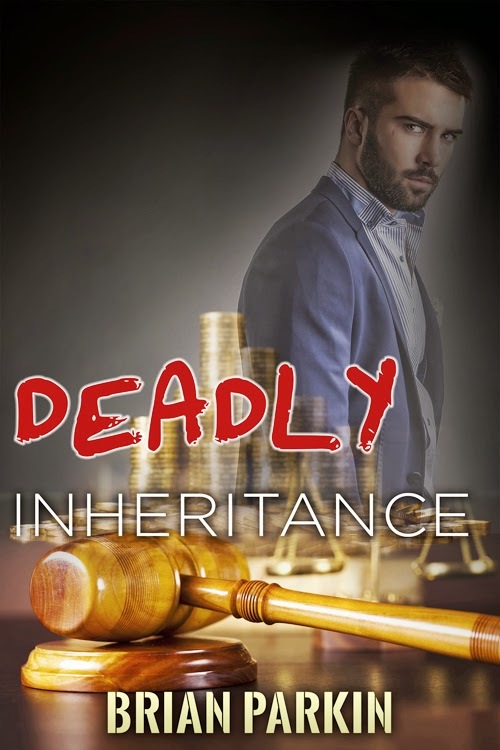 Your novel “Deadly Inheritance” is a mystery novel about a man, named Dave Pritchard, who must clear his name or be pinned as a murderer following the deaths of multiple heirs. Tell us a bit about Dave’s character. Dave is an ex-soldier like me, who meets a doctor in Afghanistan and they become good friends. If you are a friend of Dave Pritchard’s, then he is a friend for life. He is an intelligent man with keen investigative skills, although he is more of an adventurer rather than an investigator per se. No one else being offered a million dollars to find heirs to a vast fortune, with the proviso that if he doesn’t find them he inherits the lot, would try very hard to find them. Not Dave. Not only does he find them, but he’s also on the trail to find their murderer and the remaining heir. How do you think your fiction writing has evolved since you first started, if at all? At first, I agonized over everything. I agonized over the plot, the characters, grammar and spelling, so much so that it wasn’t enjoyable to write my book. Then I saw a site where everyone is challenged to write a novel of at least 50,000 words in one month. 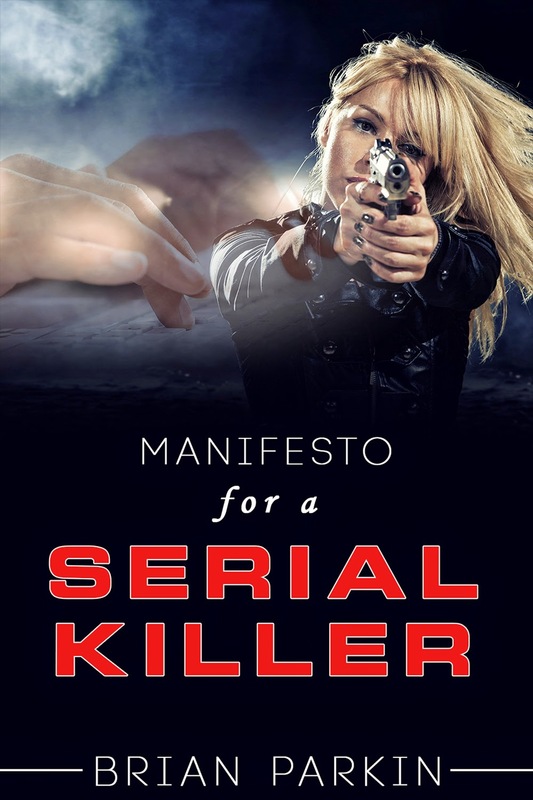 I accepted the challenge and “Manifesto for a Serial Killer” was created and published in under two months. I enjoyed that process so much that now I write freely and don’t review for typos etc. until the novel is finished. Nowadays, just about everyone has an eReader because they prefer to be able to read books wherever they are and without having to lug books along with them. Prior to getting my Android phone with Kindle on it, I would choose books for value. That is to say, I would buy large books as cheaply as I could. They were very heavy and I could really only read them at home. Now I can read whenever I have a spare minute, such as waiting for my wife to finish her shopping, or travelling on public transport. Thank goodness for eBooks! I would like to write a series that is just as popular as the Harry Potter series. I’m working on three separate series now and I would like to think that at least one of them develops into something worthwhile so that readers are clamoring for the next in the series. Fortunately, I don’t suffer from writer’s block. I think it’s because when I read a story in a newspaper about, for example, someone falling off a balcony, I wonder how they came to fall off the balcony and make up my own story and characters to go with it. This works so well that now I have two novels in progress with seven more waiting for me to get started. I hope to finish at least four of them during 2015. I use a computer because mainly my handwriting is so bad that if I went back to manuscript after a short period away from it, I wouldn’t be able to read my writing. Of course, word processing has come a long way since the days of my first Amstrad in the 1980s. I also need the PC to be able to auto save and back up my work. In fact, I automatically backup my backups. That’s how paranoid I am. What do you have in mind for your next fiction work? I’m currently working on a novel that centers on Geordie Fortune, a health inspector who investigates deliberate food poisoning outbreaks that are affecting his friend Ivy’s catering business. Each novel in this series will be a different venue, type of event and a different means of food poisoning. I have five books in mind for the series. I was an environmental health officer for thirty years and as a Geordie, i.e. a person who was born in the Newcastle area of England, this is right up my alley. Is there anything else you'd like potential readers to know about your fiction books? My books are born out of my experiences, whether that is my 24 years in the Royal Air Force, my thirty years as a health inspector or my interests in digital photography or computers. I have no desire to write long epics and so I try to keep each novel to no more than about 150 pages, less if the story is told in full. I dislike long paragraphs of exact description of places and characters. I would prefer the reader to enjoy the story instead of flicking through waffle, as I have a tendency to do when I read someone else’s work. Write about what you know, based on your own experiences. It will come from the heart and it will show in your writing. Get the words down on paper for the first draft. Don’t worry about reviewing it until it is finished. Consider self-publishing your book as an indie writer. There is nothing more satisfying than seen your finished work in either print or in digital format. It doesn’t matter that you don’t sell thousands of copies, as long as you are happy with it, and your family and friends enjoy it. Jessica Harper is a young woman who kills for the thrill of it. She’s seen all the cop shows and realizes that the police always search for motives, opportunity and patterns in their attempt to capture serial killers. She is aware of profilers and what they do to paint a picture of a serial killer. As she wants to be the best serial killer ever, she decides she needs to develop a plan, a manifesto that will be perfected after the first 10 or so killings. To achieve this and escape capture, she invents a computer application that will totally randomize all aspects of the murder factors. Press a button and the app will decide where she kills, what type of person she kills, how she kills and even determines the character and appearance that the murderer should adopt each time! Naturally, the police in various locations around Australia treat each murder as an isolated incident or even as death by misadventure in some cases. Until Detective Inspector Rob Franklin and Detective Sergeant Leanne Wilson investigate a murder in Leanne's home town of Goondiwindi. It seems to be a isolated murder but on closer inspection, they become suspicious that this murder is too perfect! They research recent murders with the same degree of perfection elsewhere in the State, and then the whole of Australia, and find that the numbers of similar murders are in excess of 20 deaths! Follow Jessica Harper as she murders her way across Australia, while Detective Inspector Franklin and his partner continue their search for the greatest serial killer in history! "Deadly Inheritance" is about Dave Pritchard, an ex soldier who inherits a large sum of money from Ivan Bezborodov who he befriended in Afghanistan, on the understanding that he finds Ivan's missing relatives . If he fails to find them, he inherits the lot. The missing heirs start dying like flies, leaving Dave as the the only inheritor and looking like he’s the culprit. He is determined to clear his name by investigating the murders himself. 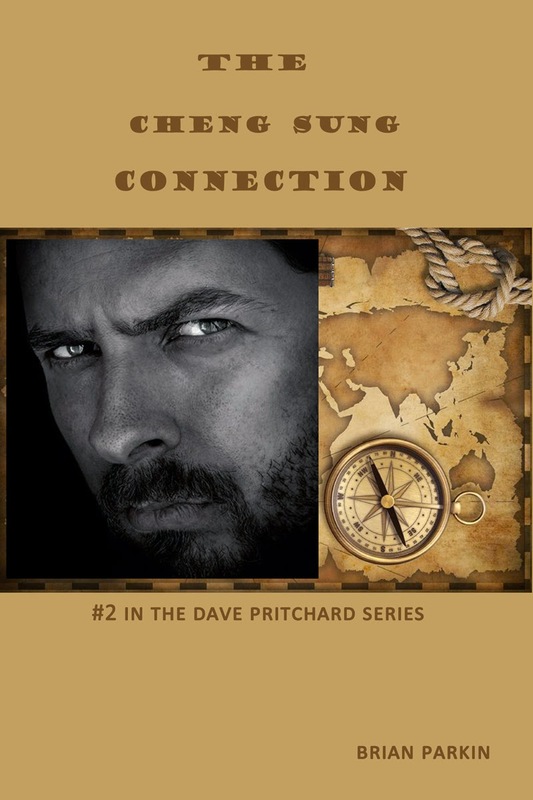 "The Cheng Sung Connection" is #2 in the Dave Pritchard Series. Ian Beaufort, a freelance journalist, is on the trail of a gang that is led by Dave Pritchard. The gang has robbed the Gallaghers of artwork and when Ian prevents the thieves from collecting the money for its sale, they kidnap Joseph Gallagher's niece. Ian confronts Pritchard and is threatened if he doesn't back off. Inspector Joe Binks from England is called in by Gallagher to help solve the case but is in turn kidnapped by Dave Pritchard's gang. Follow the twists and turns of this novel as Pritchard, Beaufort and Binks clash in solving the mystery of the Cheng Sung connection.